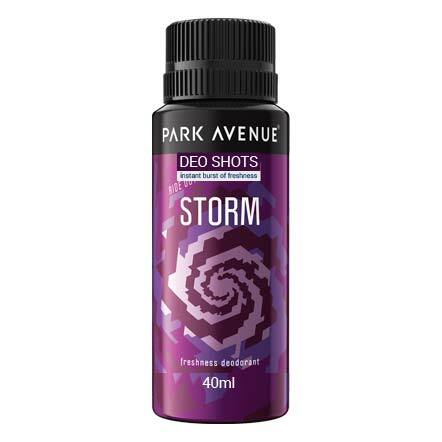 Park Avenue Park Avenue Storm Deodorant Shot Park Avenue Storm creates a wave of fresh aroma. 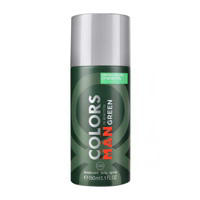 This pleasant and cooling fragrance creates an aura of energy and builds a shield of confidence around you making you the center of attraction where ever you go. Product #: Regular price: Rs.59INR59(Sale ends 01 January ) Available from: DeoBazaar.com Condition: New In stock! Order now! Park Avenue Storm creates a wave of fresh aroma. This pleasant and cooling fragrance creates an aura of energy and builds a shield of confidence around you making you the center of attraction where ever you go.